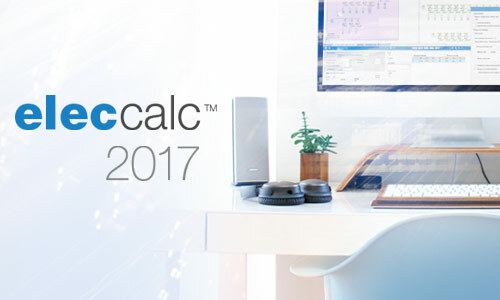 BARCELONA, Spain (February 9th, 2017) – [NEWS] Trace Software International is proud to announce the release of its new electrical installation calculation software: elec calc 2017.
elec calc™ is a software solution that enables the sizing of electrical installations in real-time. Complying with various international standards, it includes among other features: several types of sources, simulation of different operating modes; short-circuit currents calculated according to IEC 60909 using the method of symmetrical components and according to the methods of installation IEC 60364-5. Dozens of new features have been added to the original version, elec calc Classic, making elec calc 2017 the most efficient designing software on the market. With elec calc 2017, your work is facilitated and your productivity, boosted. Don’t wait to enjoy the future of calculation: contact us for more information. Thank You for Coming at Our First Users’ Forum of the Year! 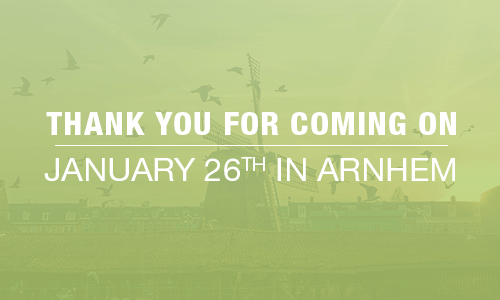 BARCELONA (February 8th, 2017) – [NEWS] Trace Software International was glad to host its first 2017 users’ forum on Thursday January 26th in Arnhem (Netherlands). Being close to our users is a top priority. At Trace Software International we truly believe that maintaining and nurturing good and strong ties with our audience must be at the heart of our global strategy. Keeping this objective in mind, Trace Software International organizes several times a year different users’ forums all over the world. Aimed at showing and introducing our solutions to our users, these meetings are a great way for our valued to meet, interact and exchange with our teams about our software and their customer experience. “Ten days ago our users’ meeting took place at the Van der Valk Hotel in Arnhem. With the help of our Spanish, Belgian and French colleagues this afternoon was given an international twist. We really had a great time hosting this event,” said Aries Krahmer, our country manager for the Netherlands. Trace Software International would like to thank all the participants who made this event such a success. For those who couldn’t join us, make sure to follow Trace Software International on @LinkedIn, @Facebook and @Twitter to stay updated about our upcoming forums! https://www.trace-software.com/wp-content/uploads/2017/02/TS-Thanks-4-Coming-comprimido.png 300 500 sonia https://www.trace-software.com/wp-content/uploads/2015/04/logo-home-ts.png sonia2017-02-08 18:20:412017-04-03 10:29:25Thank You for Coming at Our First Users’ Forum of the Year!